We know our country is in an economic slowdown. We also know personal injury lawsuits are recession-proof gold mines for plaintiffs’ attorneys. Studies regarding the uptick in litigation during economic downturns show that when times are bad, individuals look around for economic life rafts. The promise of riches by way of a settlement or judgment from a big corporation or insurer is too alluring for many who are facing dire economic straits. When faced with a claim in these times, it’s important to immediately work to separate the wheat from the chaff. The key for corporate risk managers, insurers, or third party administrators therefore is to make a rapid response. To ignore a claimant or fail to timely investigate the claim may likely result in your company receiving service of process in short order. Accordingly, upon notice of loss, contact the location. Is there video footage or other important claim-related materials, like an incident report? Secure it. Are there witnesses? Locate them and learn their side of the story. Is the claimant willing to talk with you? Get him or her on the phone and learn more about the claim. The more you learn in the days following a report of loss, the better you will be to respond to an eventual demand from the claimant. Knowledge is power. If the claim is junk, it will be easier to establish that fact when memories are fresh and evidence can be collected. Additionally, talking with the claimant as soon as possible will put you in a good position to gauge his or her reasonableness early on. If the claimant in a small or modest claim starts talking about “pain and suffering,” talking with a lawyer, or refuses to send you documentation regarding medical bills, etc, you can likely see where the case is headed and set your reserves accordingly. On the other hand, if the claimant is responsive and cooperative to your requests for information, you are likely standing in a good position to resolve the matter without it having go into litigation. In attempting to evaluate the claim, be smart about it. Don’t just pay a claim just to get it closed. You may just be giving money away, which in turn cuts into the bottom line. Carefully analyze the facts of the case, the applicable law, the venue, the level of damages, the type of claimant you are dealing with, and the potential defense costs. If it’s a good claim from the claimant’s perspective and he or she is reasonable, then look to get it done. However, if it is not a good claim and/or the claimant is unreasonable as it relates to his or her settlement expectations, don’t be so quick to throw money at it. Word does get around on the Plaintiff’s Bar’s Listserve about who are the “easy marks” as it relates to personal injury claims. Don’t be that guy. Defend the cases that need defending. A word about your local counsel: You have relationships with counsel in all the different places where you operate. Take advantage of that relationship. If you have questions about the law in the jurisdiction where the matter is pending; the venue’s characteristics; the likelihood of an adverse outcome; or any other matter pertaining to the claim you are investigating, call your lawyer. He or she values your relationship and wants to help you, even if that doesn’t mean opening up a file. If you don’t have that type of relationship with your lawyer, maybe it’s time to find new counsel. The considerate lawyer that cares about you and the ongoing relationship his or her firm has with your company will be glad to respond to your questions and provide you with the information you are seeking. ·When in doubt, call your local counsel to confer about any questions you may have about your evaluation of your claim. 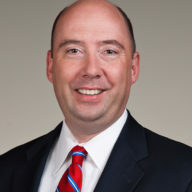 Christian Stegmaier is a nationally-recognized leader in the defense of retailers and hospitality-related entities and is chair of both the firm's Management Committee and Retail & Hospitality Practice Group. He is also an active member of the adjunct faculty at the University of South Carolina’s College of Hospitality, Retail & Sport Management.